Although criminal mischief does not sound like a serious type of crime, it carries serious consequences that may impair your future. If you received a charge involving delinquent misconduct, talk to a criminal mischief attorney in Denver promptly so you can protect your rights and your future. You may be charged with criminal mischief if you knowingly damage the property of another person or property owned jointly with another person. In order to be found guilty of criminal mischief, it must be proven that you knowingly commit the crime. If property was damaged as a result of your recklessness or negligence, that is not considered misdemeanor offense. For example, if you back into your neighbor’s mailbox while pulling out of your driveway as a result of your carelessness, that is not considered criminal mischief in the eyes of the law. However, if you knowingly destroy the mailbox, you could be charged with criminal mischief. Depending on how severe the damages are, you could face serious consequences as a result of criminal mischief charges. If you are facing criminal mischief charges, call Dan Murphy, who is an experienced criminal mischief attorney in Denver, who will offer you legal guidance and assistance. Charges of criminal mischief can be filed either as felony or misdemeanor charges, and these charges are typically filed when a person knowingly and willingly damages property belonging to another person. That property could be either public or private property, such as a home or a business, and could even include property that is owned jointly by the defendant. When the value of the damaged property is below $500, the criminal mischief charge is a Class-2 misdemeanor, and the defendant can face three months to a year in jail and $250 to $1,000 in fines. When the property’s value is $500 to $1,000, the charge is a Class-1 misdemeanor, and a defendant could serve a sentence of six to eighteen months in jail, along with a fine between $500 to $5,000. When the property’s value falls between $1,000 and $20,000, the criminal mischief charge is a Class-4 felony; defendants face between two to six years in prison and fines between $2,000 to $500,000 in fines. The most serious criminal mischief charge, when the property involved is valued over $20,000, is a Class-3 felony, which can result in four to twelve years in prison and $3,000 to $750,000 in fines. Before determining what charges the offender should face, the court must first figure out the value of the property. The value of the damaged property is typically determined by assessing its market value. If there is no market value available for the damaged property, then the judge will determine a value based on how much the owner originally paid for it, how much it would cost to replace it, the use of the property and the salvage value of it. Based on these factors, the judge will determine the value to figure out if your crime was a misdemeanor or felony. However, sometimes, there is a disagreement about the value of the property. In these cases, the jury will be given an “interrogatory”, or questionnaire. This asks the jury to determine the value of the property in question based on the evidence presented during the trial. If you have received a criminal mischief charge, contact an experienced Denver criminal mischief attorney, Dan Murphy, so you can defend your rights and achieve the most ideal outcome for your specific case. Domestic violence cases often involve criminal mischief charges. This is because the aggressor often damages jointly owned property during a dispute, thinking that he or she has a right to do so as a partial owner. However, even when you are the joint owner of property, you can be charged with criminal mischief. If you need legal advice regarding your criminal mischief and domestic violence case, seek help from Dan Murphy. Attorneys recommend that you refrain from speaking with police officers following an arrest until you have a lawyer present. Remember, you are not required to speak to law enforcement, so if you have been arrested in Colorado state, in general it is best to exercise your right to remain silent. So any criminal mischief charge in Denver is serious; even the Class-2 misdemeanor has the potential to jail a defendant for up to a year. If you or someone you know is charged with criminal mischief, talk right away to Daniel M. Murphy: an experienced, Denver criminal mischief attorney. Dan Murphy combines criminal defense skills with an impressive grasp of the laws and the court system of Colorado. Dan knows what it takes to achieve the best possible results in any specific criminal mischief case. Sometimes that can mean a reduction or dismissal of charges; other in cases it might be a plea to a lesser charge or a trial. 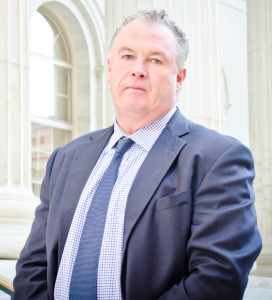 Throughout his 19 years of experience in the Denver area, Denver criminal mischief attorney Dan Murphy has represented numerous clients charged with this offense. Dan has an incredible record of winning these cases and successfully navigating his clients through the oftentimes-complex Denver court system. Daniel M. Murphy, a Denver criminal defense lawyer knows what’s at stake if you are convicted of criminal mischief. Eyewitnesses can very easily be wrong; law enforcement officers can violate search and arrest procedures to find the evidence that they need. If there’s a weakness in the prosecutor’s criminal mischief case, Denver criminal mischief attorney Dan Murphy will find that weakness and use it to his client’s benefit. If you are not charged now with criminal mischief, but are under investigation or suspiscion, contact Daniel M. Murphy. It’s never too soon to start work on your defense. Dan Murphy has extensive experience defending indiivudals in cases that involve criminal mischief, child abuse, theft, drug crimes, marijuana possession, sexual crimes, and harassment. Following the evaluation of your case, criminal mischief attorney in Denver, Dan Murphy will go over your legal options and develop the most ideal defense. His welcoming, friendly office environment is the perfect setting for clients to talk about their legal needs. If you are charged with criminal mischief, it’s in your best interest to hire an experienced criminal defense attorney with proven success. Schedule your free consultation with Dan Murphy at his office by calling 303-996-8998 or filling out the form. Dan Murphy respects the attorney-client relationship, and you will immediately realize that when you visit his office. The law office is on East 7th Avenue in downtown Denver. When you visit for your legal serives, you will be able to take advantage of free parking and payment plans.